Researchers have found warmer average temperatures over the past decade have forced fish to forage in deeper water. There they hunt different prey species, causing a climate-induced "rewiring" of food webs, altering the flow of energy and nutrients in the lake. "We can harness the natural capacity of species to detect and respond to changes in their environment," said Tim Bartley, a post-doc in the Department of Integrative Biology and study lead author. "As species are changing their behaviour, they are telling us about what's happening around them in their environment. We can use this information. The behavioural changes we see imply major reorganization of ecosystems." Bartley caught fish to analyze their tissues to see what they ate. 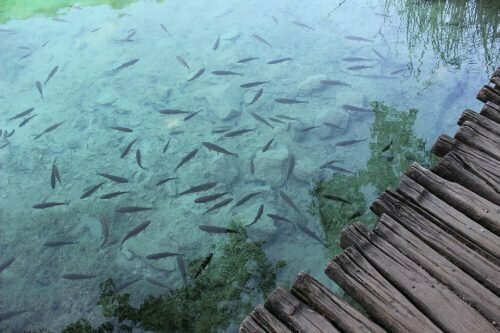 The team also used similar data about fish feeding habits and locations across the province from the Ontario Ministry of Natural Resources.